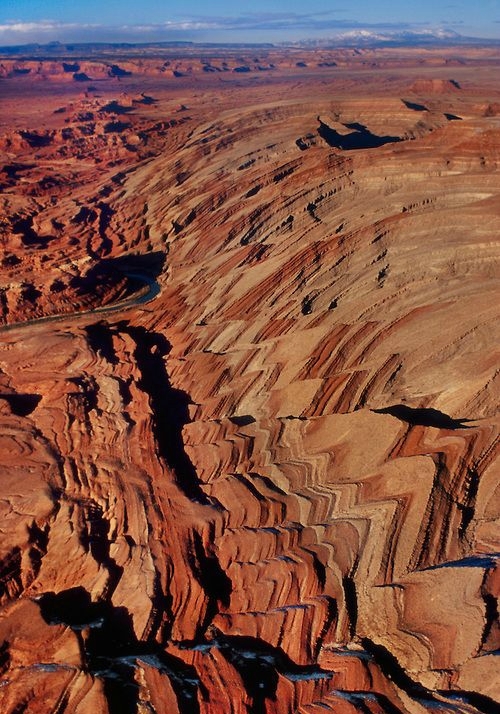 Utah, nicknamed “Beehive State”, offers some of the most beautiful and spectacular sights and places to visit! Just browse through these awesome pictures and be amazed by it’s beauty. Fun fact: The name Utah derives from the Native American Ute tribe and means people of the mountains. 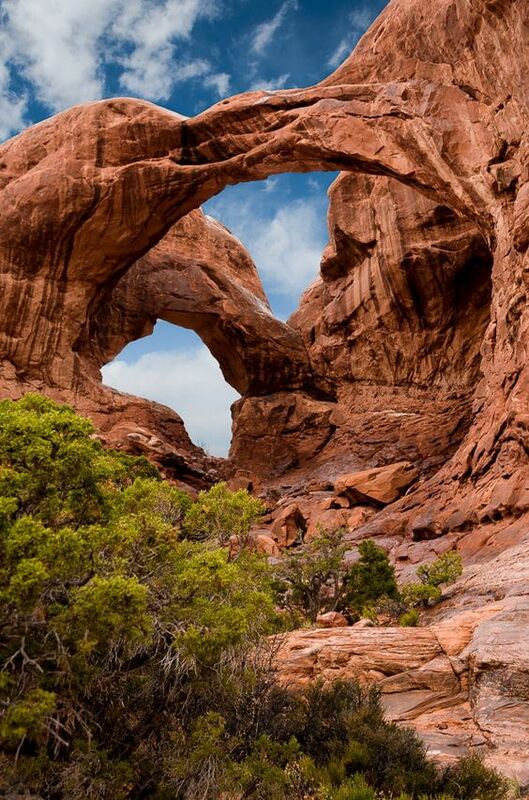 Arches National Park is home to over 2000 natural stone arches. The most famous of these, and the most photographed, is the stunning delicate arch, standing like a horseshoe jutting out of the ground, framing the distant mountains. Numerous walking trails and hikes lead to the most popular arches and many other interesting rock formations. 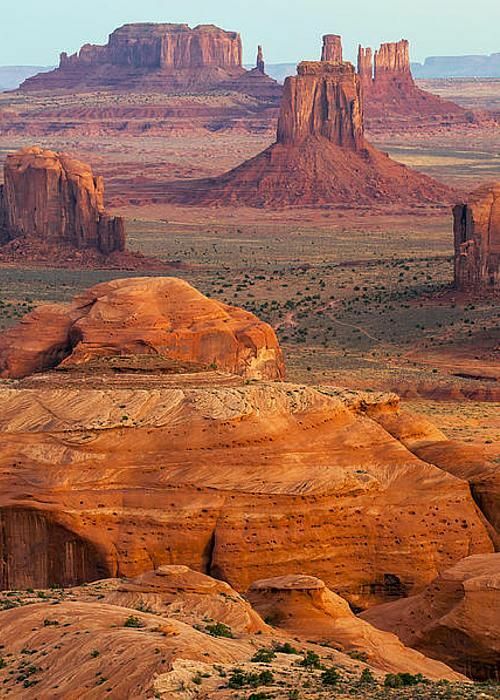 The Monument Valley Navajo Tribal Park is located on the Navajo Indian Reservation in southeastern Utah near the Arizona. Numerous films and commercials have been shot in this scenic area which is famous for its picturesque red mesas, buttes, and surrounding desert. 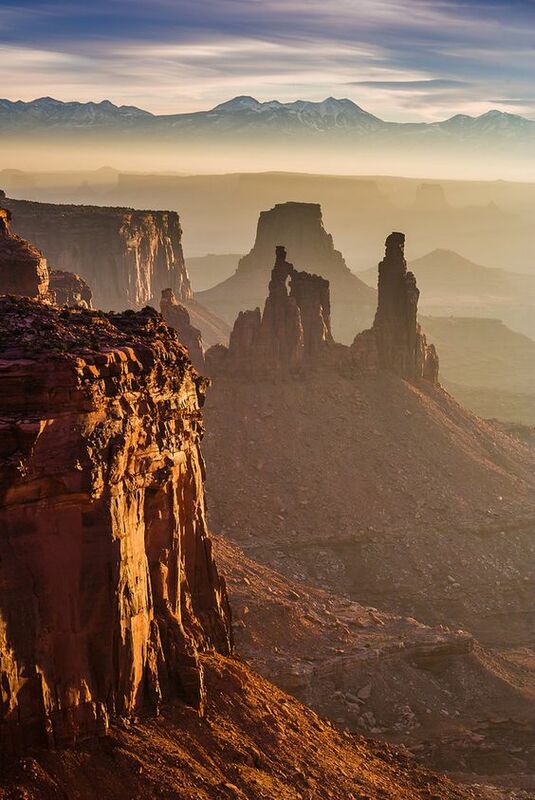 Canyonlands National Park is Utah's version of the Grand Canyon. The park has three sections, but the main portion which attracts the majority of sightseers is "Island in the Sky". This area has incredible vistas looking out over the carved canyons below, and beyond to the snowcapped mountains. It is arguably as impressive as the Grand Canyon in its own unique way. Zion National Park, less than a three hour drive from Las Vegas, features some of Utah's most outstanding scenery, with red rock cliffs, waterfalls, and beautiful vistas. The falls are particularly impressive in the spring when the flow of water is abundant. 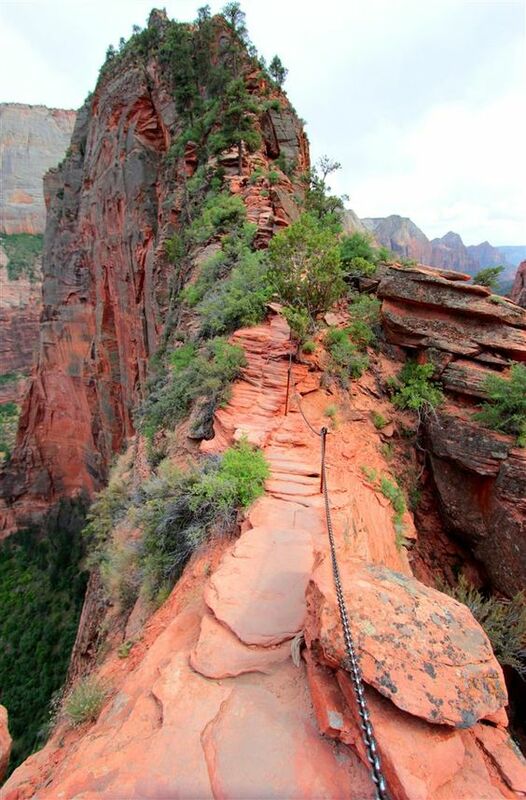 Hikers will find all kinds of awesome hikes, from simple walks along the valley floor to the famous and more demanding Angel's Landing hike. Park City is a popular ski destination in Utah, with several ski hills in the surrounding area. 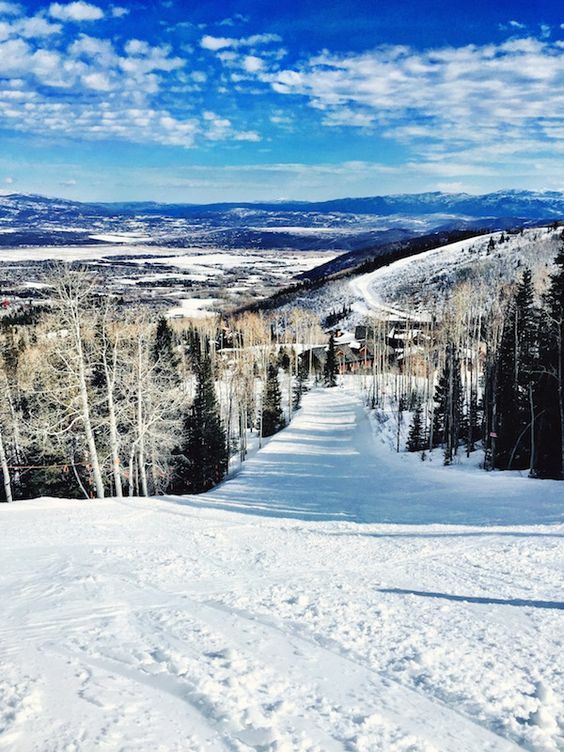 Deer Valley Resort, Canyons Resort, and Park City Mountain Resort are some of the main ski destinations in the state. The Olympic Sports Park, also located in the vicinity, was used as a venue for the 2002 Winter Olympics. 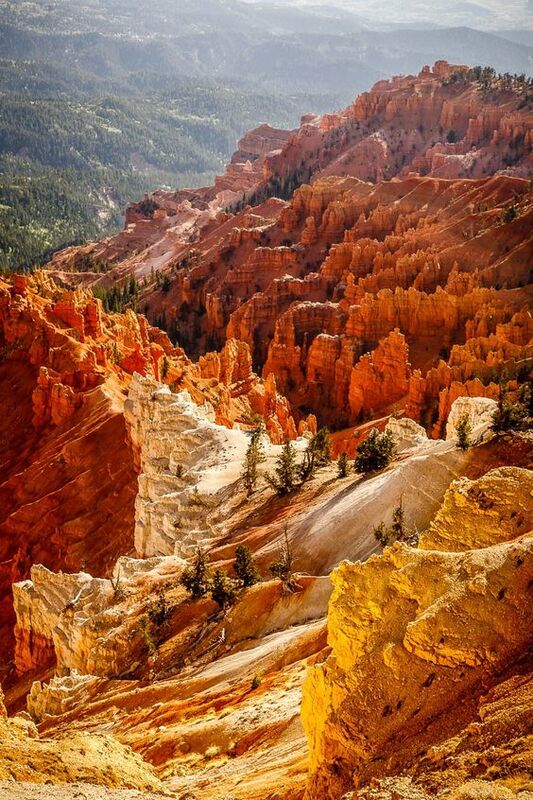 Bryce Canyon, located at an elevation of 8000 to 9000 feet, is home to some interesting landscapes. The most unique features are the tightly packed stone pillars that jut up from the floor of a huge natural amphitheater. The orange colored rocks glow in the sun, contrasting beautifully with the green trees. This huge area of rugged landscape receives far less visitors than the big national parks in Utah, and definitely offers a sense of remoteness. Paved and dirt roads, where a person can drive great distances without ever passing another car, are all part of the attraction of Grand Staircase Escalante National Monument. The scenery is a mix of canyons, arches, hills, waterfalls, forest, and scrubland. Capitol Reef National Park is another great place to explore Utah's interesting landscape. With canyons, rock spires, cliff walls, arches, and gorges it is an inspiration for anyone with an interest in photography or hiking. 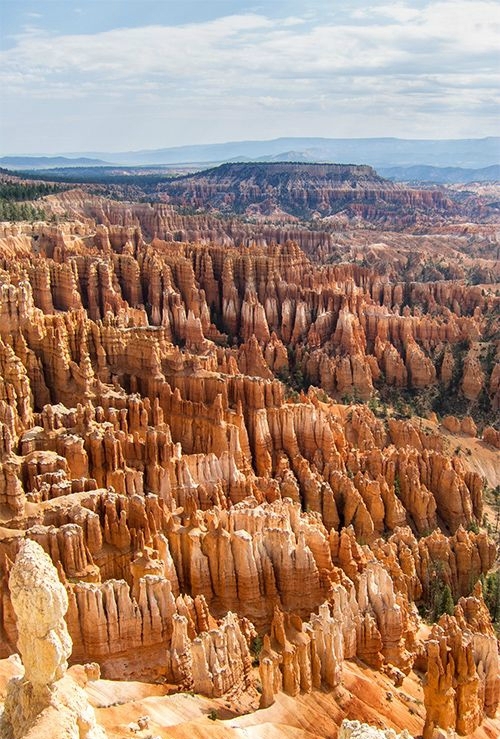 The same forces of nature that shaped Bryce Canyon were at work also in Cedar Breaks, in southwestern Utah, creating a smaller but even more colorful rocky landscape in the form of a gigantic amphitheater. The best views are those from the Rim Drive. The amphitheater is more than 2,000 ft deep and three miles in diameter. The colors of the cliffs come from minerals. 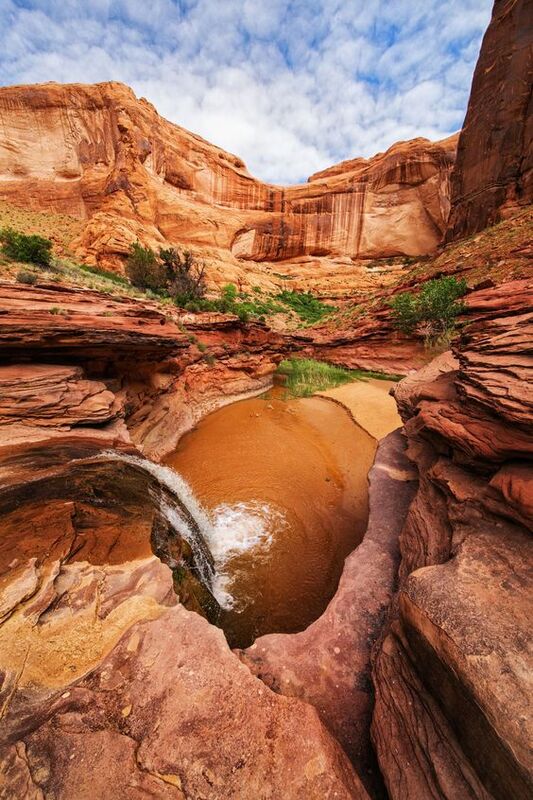 Just under 100 miles southeast of Canyonlands National Park is the Natural Bridges National Monument. There are three natural bridges, the Kachina, the Owachomo, and the Sipapu. They are accessible by short hikes from the trailhead parking lots. Also of interest are the Horsecollar Ruins with the remains of ancient Native American buildings. 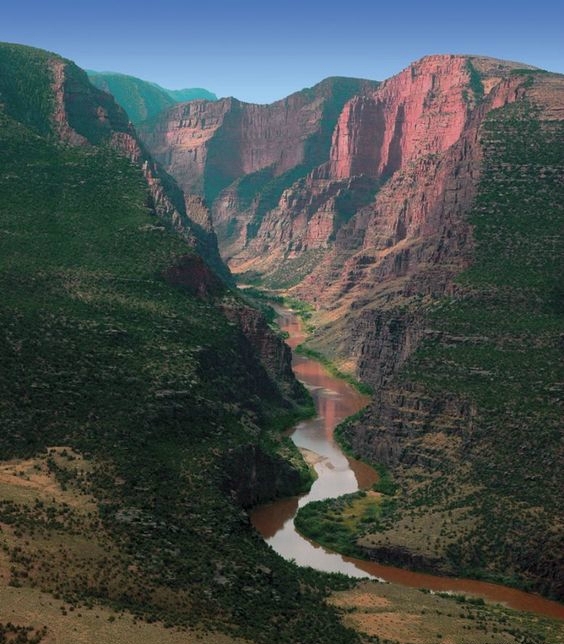 Dinosaur National Monument is known for the large number of Jurassic period fossils that have been discovered here, as well as for the lovely scenery of mountains and rivers. Dinosaur fossils can be seen embedded in the cliff wall of Carnegie Quarry. 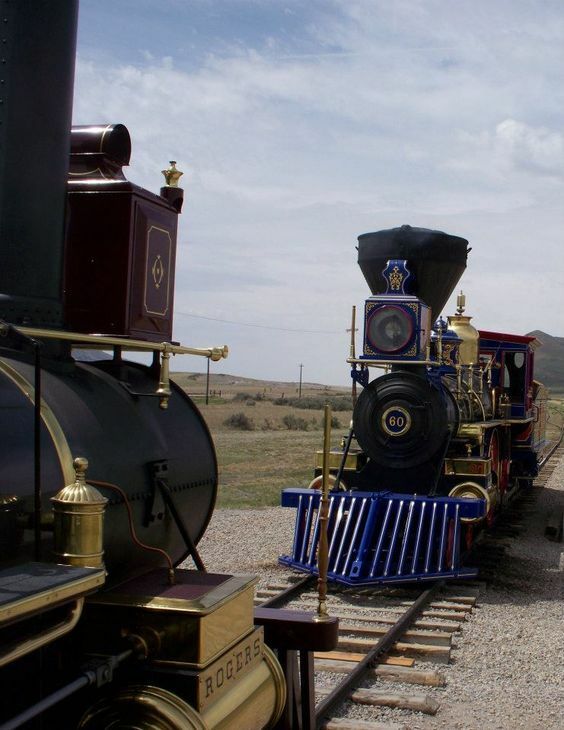 On the north side of the Great Salt Lake is the Golden Spike National Historic Site. This is the point where the Union Pacific and Central Pacific Railroads, starting respectively from Omaha in Nebraska and Sacramento in California, joined up. This first transcontinental railroad was completed on May 10th 1869, when the last spike, the "Golden Spike", was ceremonially driven in. The Visitor Center has an exhibition illustrating the importance of the railroad in opening up the West. The Great Salt Lake, half an hour's drive northwest of Salt Lake City, is the largest inland lake west of the Mississippi, measuring 72 miles long, 34 miles wide, and up to 50 feet deep. It is a remnant of a much larger freshwater lake, Lake Bonneville. 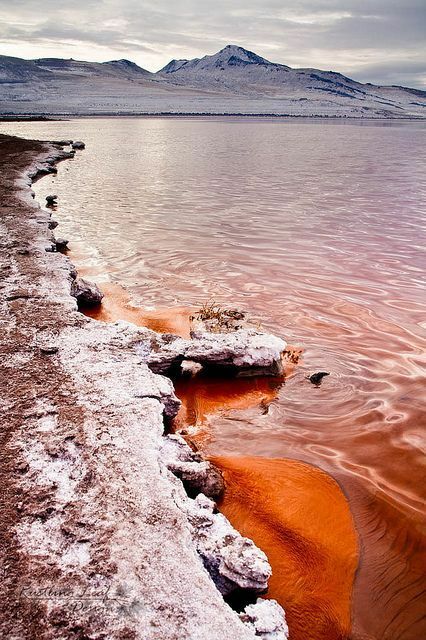 Following a fall in the water table this lake was left with no outlet and shrank as a result of evaporation, leaving the Great Salt Lake Desert. Standing on Temple Square in Salt Lake City is the Mormon Temple. Built in the last half of the 19th Century temple is one of the principal sites in Salt Lake City. However, the structure can only be entered by Mormons. Buckskin Gulch is considered to be the world’s longest slot canyon, full of twisting narrow corridors formed from towering red stone. 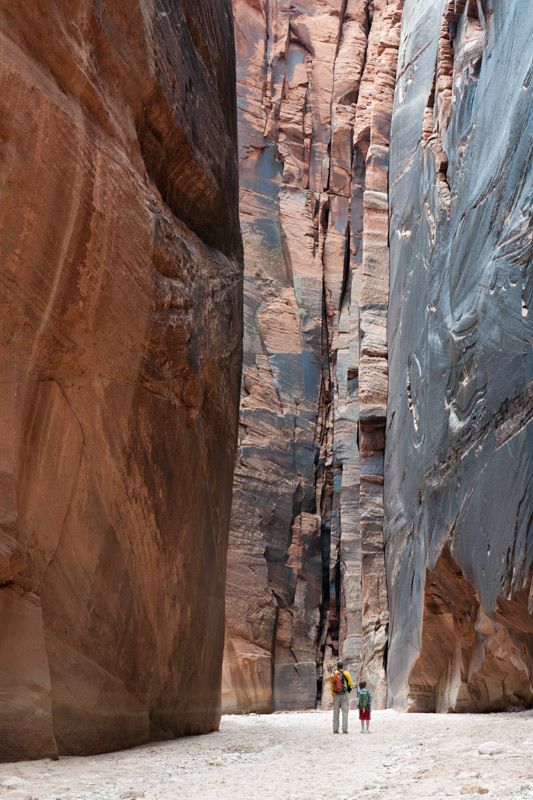 Buckskin Gulch is considered by climbing and hiking enthusiasts to be a challenge. Some points along the route are extremely narrow and dark, whilst others are filled with waist-deep water. This makes it ideal for those seeking adventure or a unique location to be active. Perhaps one of Southern Utah's best kept secrets, Upper Calf Creek Falls is an 88 ft cascading waterfall located just upstream for Lower Calf Creek. This secluded little downpour is hidden behind a steep sandstone incline, lined with volcanic boulders and obscured from trail view behind the trailhead register. Two miles roundtrip, most hikers need to allow at least two hours traversing the uphill trail and scouting for the tricky location (it's easy to get lost). But once you find it, the majestic gravitational potential of energy is worth the hike. In a very real sense, waterfalls harness an enormous amount of energy, which is first transformed into kinetic energy, then into thermal energy when it hits the ground. It's no wonder why the ancients have found the waterfall's elusive power beneficial for the soul's healing. 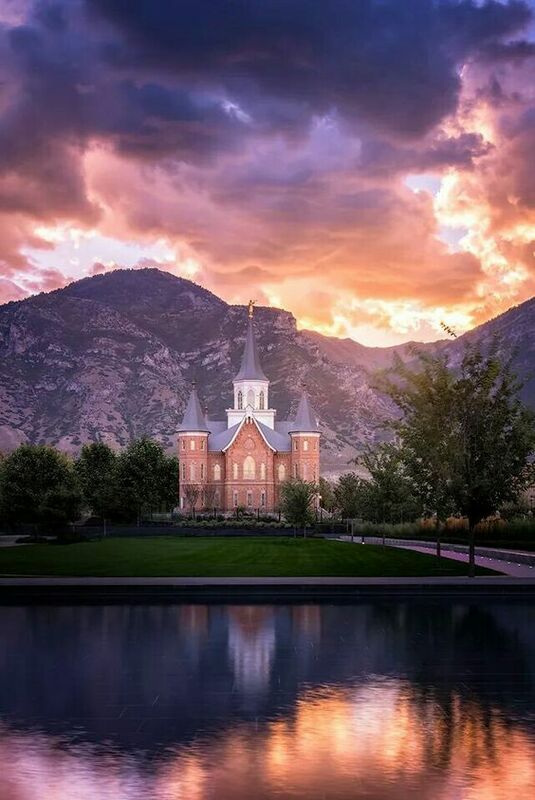 What a great picture of the Provo City Center LDS ("Mormon") temple. There are many similar to it throughout the world. Though not pictured, the Salt Lake Temple is especially iconic. It is located near the church's headquarters. Only members are allowed inside the actual edifice but Salt Lake City's Temple Square has a visitors' center open to all.